Curt Sanchez's new series of photographs, "Belizean Culture" portrays a cast of Belizean in their natural environment. Curt was born in Chicago to Belizean parents and first began exploring photography as a youth. He studied Architecture at the Institute of Design and Construction in New York, where he enthusiastically rekindled his love of photography during his travels with the US Air Force. Curt is a self-taught photographer who uses the medium of photography to explore his experience of life. 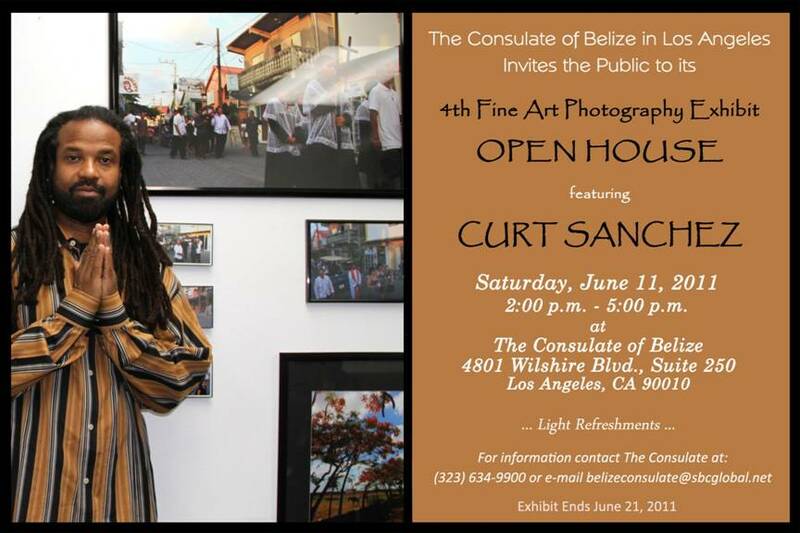 The Consulate of Belize is proud to host Curt's first fine art photography exhibition, entitled Belizean Culture. The exhibition features striking examples of ancient Mayan culture, traditional fragments of life and spiritual values. The exhibit invites viewers to look at the sunrise and sunsets all over Belize. Curt brings together the visual language of photography to engage peopleʼs notions in the process of interpreting pictures, and the understanding of visual narratives.